Welcome to the joint degree master program in Transcultural Studies at Kyoto and Heidelberg University. Transcultural Studies constitute a new research field in the humanities and social sciences that seeks to address the challenges posed by global connectivity to existing disciplines and frames of knowledge. 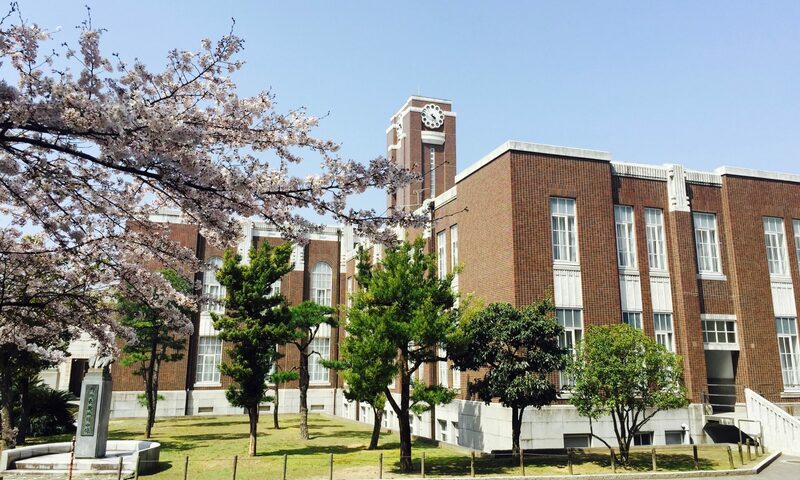 In Japan, Kyoto University has instituted the first and until now only major in the country for this area of study, which is also the first international joint degree in the humanities. The Joint Degree Master of Arts in Transcultural Studies (JDTS) is an English language, research-oriented master program that combines interdisciplinary education with a transregional focus predominantly on East, South, and South-East Asia as well as Europe. On these pages, prospective students may learn more about the program and its application procedures at the Graduate School of Letters in Kyoto (next enrollment possible for Spring term 2020). We also provide information about our faculty, courses, and our partner institution, the Heidelberg Centre for Transcultural Studies, Germany. The study program is situated at two partner institutions, the Graduate School of Letters (GSL) of Kyoto University and the Heidelberg Centre for Transcultural Studies (HCTS) of Heidelberg University. Students enrolled in the program begin their studies at one of these two partners, their home institution, but spend an equal amount of time at the other university. Supervised by international faculty of both, the GSL and the HCTS, students submit a single master thesis to receive a Master of Arts degree jointly awarded by both universities upon completion. The transregional outlook of the JDTS is based on the perspective that cultures are not contained within ethnically closed, linguistically homogenous and territorially bounded spheres. Instead they are constituted through transformations and entanglements that follow from contacts and relationships between various agents, concepts and institutions. Transcultural Studies combine methodological and theoretical approaches from a broad spectrum of disciplines in the humanities and social sciences. The study program expands the regional and disciplinary competences students have obtained in their Bachelor degrees or another Master degree. Students of the JD Transcultural Studies acquire empirical knowledge on historical and contemporary moments of exchange as well as on theories and methodologies to frame and analyze such processes. In their two years of studies, students choose one of three study foci: “Society, Economy and Governance,” ”Knowledge, Belief and Religion,” and “Visual, Media and Material Culture,” which in Kyoto are supported by our team of scholars from the divisions of Philology and Literature, Philosophy, History, Behavioral Studies, and Contemporary Culture. As a research-oriented and interdisciplinary study program, the JDTS requires from its students a high degree of self-organization and willingness to engage with a variety of subjects and approaches. The JD Transcultural Studies is a full-time program. Students attend 4-5 classes per semester most of which will be (research-based) seminars. Particular attention is being paid to introduce students to the integrated study of different types of sources – objects, texts, visual, audio or digital media. Students with the GSL as their home institution spend the first semester in Kyoto, their second and third semester in Heidelberg, where they begin preparing their master thesis, which they complete and submit in their fourth semester back in Kyoto. As a research-oriented degree program, the JD Transcultural Studies is primarily designed to train its students for a successful career in international academia. Consequently, the course guides them in developing key practical skills (e.g., academic writing) but also in building upon and extending their disciplinary, regional and methodological competencies. Upon completion of the program, students will be able to independently conceptualize a research question, critically evaluate and incorporate relevant theories and methods from a number of disciplines, apply them to selected material and present their results according to international academic standards. In line with the program’s qualification goals, many of our graduates apply their academic training to pursue a PhD degree either in Japan, Germany, Europe, Asia, or the United States. Other graduates utilize the research training, intercultural competency and ability for independent, critical thinking they have acquired in their studies to pursue a career in other fields of employment, e.g., in international NGOs, in political foundations, in art/cultural management or in marketing and human resource departments of multinational businesses.